Put down the Funyuns and buy this book! 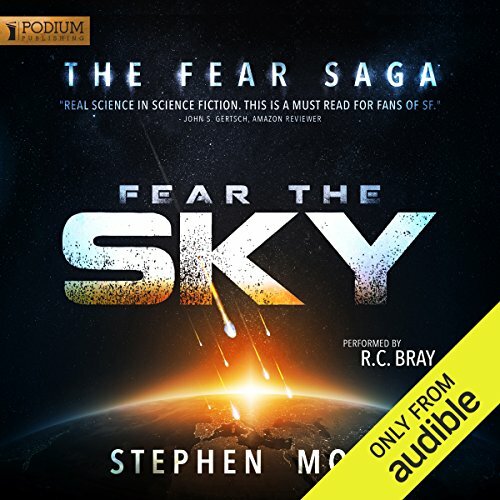 Perfect for fans of Peter F. Hamilton, Iain M. Banks, and Orson Scott Card, Fear the Sky is a hard-hitting sci-fi thriller that will have you looking at the stars in a different way. In eleven years' time, a million members of an alien race will arrive at Earth. Years before they enter orbit, their approach will be announced by the flare of a thousand flames in the sky, their ships' huge engines burning hard to slow them from the vast speeds needed to cross interstellar space. These foreboding lights will shine in our night sky like new stars, getting ever brighter until they outshine even the sun, casting ominous shadows and banishing the night until they suddenly blink out. Their technology is vastly superior to ours, and they know they cannot possibly lose the coming conflict. But they, like us, have found no answer to the destructive force of the atom, and they have no intention of facing the onslaught of our primitive nuclear arsenal or the devastation it would wreak on the planet they crave. So they have flung out an advance party in front of them, hidden within one of the countless asteroids randomly roaming the void. They do not want us, they want our planet. Their Agents are arriving. Very enjoyable...brilliantly read. ..original and highly researched. 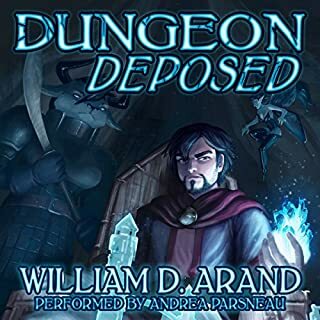 Interesting likeable and hateable characters enhanced by excellent narration. One of the best new age sci fi thrillers! Read the reviews and thought I'd give it a try, wowsers! Awesome story and great production! Exciting and inventive, if a little drawn out. 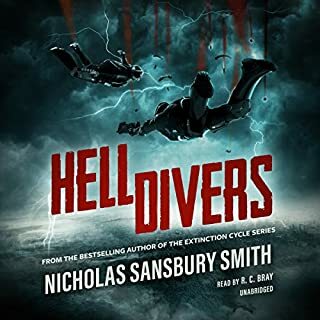 Whilst I concur with other reviewers that the book is slow to start but grabs you eventually, I kept getting frustrated at the often, all too elaborate thought processes that the author went into with some characters situations. At one point, I had to laugh at how obviously hard the author was trying to make me feel for a characters particular situation! However, the plot itself was exciting and appealed to my desire to see some real sci-fi technology used and explained well. Once again, R.C. Bray nails the performance, bringing so much life to each character. Looking forward to the next one! loved it, the story , characters and the of course the bad guy's. you are at first easily dropped in the story and you get to know the characters and the all Hell breaks loose, wow what a ride. 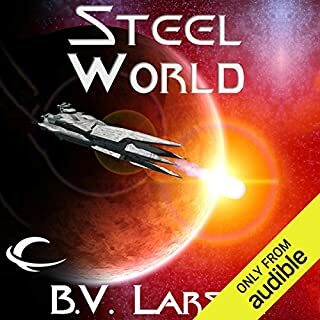 An enjoyable fast paced story, combined with one of the best narrators I have come across made for a very enjoyable listen. I felt no connection to the characters of this novel. I honestly feel its reviews thus far is too high. plenty of other better reads with lower ratings. I think this might be a novel that is better read than listened too. I liked the narrator in other books but not sure if he suited this one. Found myself drifting off a lot. 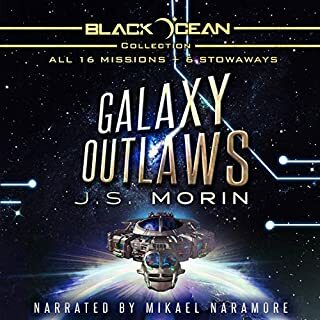 This is one awesome story set in the real world.. For us humans anyway and with great character's and awesomely narrated it is one masterfully crafted story. amazing nail biting suspenseful. the narration was fantastic. a must have in any library. for any sci fi fan its soon to be your favourite book. 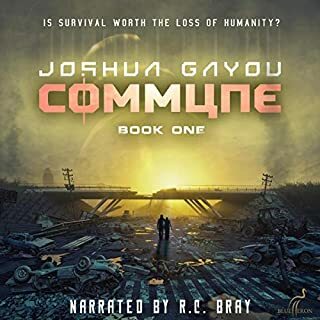 Every now and then I like to peruse a narrator's work to see if they might have narrated something else I'd be interested in, and on a whim I grabbed Fear the Sky expecting a middling sci-fi story, I'll be honest the cover art looked like a C level self publish job. But RC Bray did a great job with the martian so why not. And then the book grabbed me and pulled me through the 20 odd hours till I was wondering why the heck the other two book werent on audible yet because I wanted more. Audible Where Are The Rest?! Yet now as I go to get the other two bestselling books in Mr. Moss's series I discover they are not available through Audible!? Each book is a best-seller on it's own and several years old. The narrator is putting our new works. The thing is it is not just one series. I myself have the same issue with three GREAT series Audible starts then dropped. I am very eager to continue : Trevor H. Cooley's, Bowl of Souls series is completed through book 8 yet only 3 are available on Audible, each VERY successful and Author Sara King has a popular bestselling series thar Audible only taped one of. Still, this book deserves 5 stars and is worth the cost. Would you listen to Fear the Sky again? Why? As one who prefers my science fiction to be within the realm of possibility with minimum hokiness, Fear the Sky delivers on both accounts. This modern day War of the Worlds is how an Earth invasion may actually take place in today's modern internet age. Along with the cool technology, there is no shortage on character development, which combines through R.C. 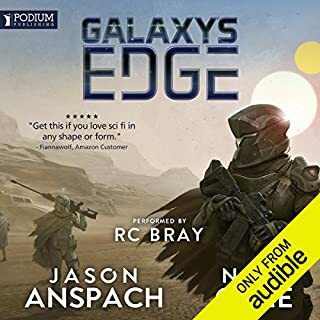 Bray's narration into an enjoyable read. 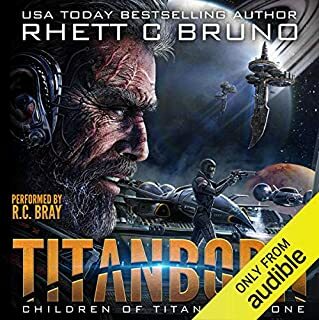 Definitely worth the investment in money and time, and I am so waiting on the next installment in Audible. paid for the whole seat, only used the edge. R.C. Bray is a fantastic narrator. Wow! Had me at edge of my seat. Narration: Amazing performance. Captured each of the characters. Story: Could have been cheesy. The author managed to keep it contained. I enjoyed every bit of it. The amount of research that Stephen Moss must have done in regards to the technical detail is amazing - it made the whole story more compelling because it sounds so believable and scientific. 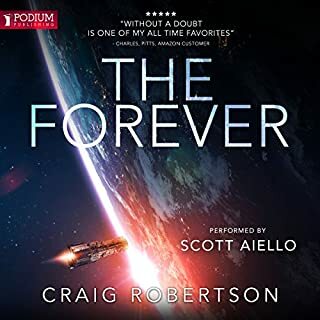 But there are things that still need to be resolved and I really hope that the next book is on audible soon - I was very disappointed when I saw that it was not available on audible (crossing fingers) yet. Have you listened to any of R.C. Bray’s other performances before? How does this one compare? I heard R.C. Bray first in The Martian and was how I found Fear the Sky. This book really shows off his talents in creating different voices for the characters, something that was not required as much for The Martian. I normally listen to podcasts during my commute and gym sessions but took up listening to Fear the Sky because I did not want to stop listening to it. Incredible story and excellent narration! I can't wait to listen to book two! Hopefully it will come out soon. These aliens certainly have a well thought out invasion plan. Their main concern is making sure this beautiful planet of ours is not spoiled by nukes before or at the time of their main fleet arrival in ten years time. Eight robotic super agents who appear to be human with a plan to infiltrate the nuclear powers and four weaponized satellites with massive coverage of all our communications and the ability to monitor all visible activities (they could tell you how many fingers you were holding up if you are outside) paint a very grim picture. It was so oppressive, I almost gave up when a couple of my heroes were ruthlessly dispatched courtesy of a satellite. But Stephen Moss has a plausible push back strategy against overwhelming odds. The story actually got so intense and entertaining I broke my rule of always doing something while listening. At that moment, if you had walked by me in the kitchen, you would have seen someone sitting at the table with earphones on, eyes glazed and their mouth half open. I will let you discover what the "thread" is that gives us a chance to survive the first onslaught. 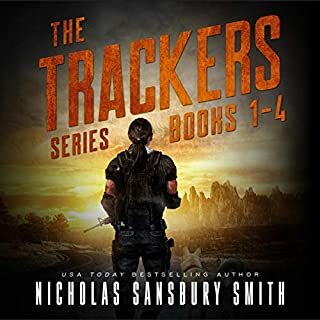 Be warned this is a great story and if you take it on, be prepared to be compelled to purchase the second book in the series "Fear The Survivors" which is scheduled to be released July 14 2015. 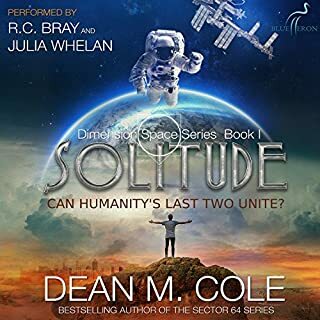 RC Bray is single handedly converting me into a SciFi nut...he brings books like this one to life and makes the content so compelling. Don't think twice, download this book. Ok, so I started reading this book because of RC Bray. But once I got into it, I couldn't stop listening to it. The sci-fi was great, very interesting spin on some of the technology. Also the story line was interesting. Great character development. Not all of the bad guys are really bad. Lots of detail in the story, really well fleshed out. Cannot wait for the second book in the series. 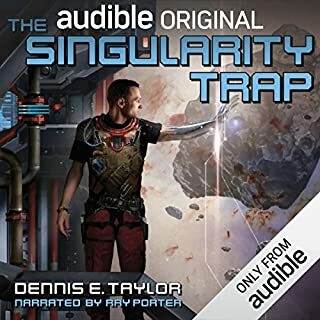 I throughly enjoyed this audiobook. 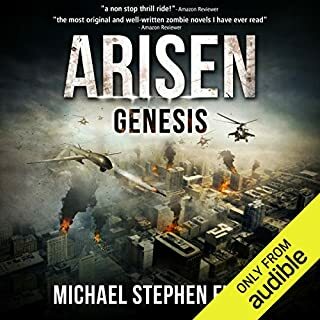 Not being a big fan of Scif, I was hesitant on getting this book, but the whole idea of alien invasion grabbed my attention, and from the start I couldn't stop listening. I am now looking for other books about Alien invasion. The book could have done with some heavy editing, but overall it didn't spoil or distract from a great story. The narrator was perfect. Having listened to him on The Martian, I knew what to expect from his voice, and he certainly didn't disappoint on this book. Highly recommend for everyone to give this book a try. Us vs them, at its best. I'm a sucker for earth invasion sf and this was right up my street. Rooted in a real sense of plausibility and science knowledge, this story moves through the gears and keeps you hooked. Love how the invasion is discovered bit by bit and knowledge of it known by a very few. 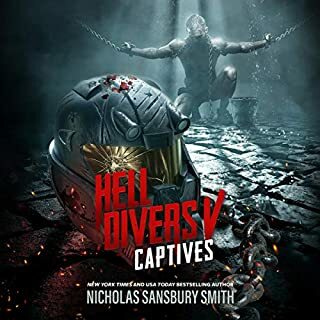 I know books 2 and 3 are out there to read but I'm hoping the Audio books will be out soon, cos the narration is perfect in its sense of suspense. Fantastic! A must read for any fan of fiction! Sci Fi novels are so often acclaimed only within their own genre; I challenge any fan of fiction to not enjoy this book! Fear the sky is so well plotted and executed. The characters are realistic and likeable or hate able, either way they draw a genuine emotional response! The story flows at a perfect pace, punctuated by many memorable scenes, to its blistering conclusion. Truly an epic start to what I hope is an awesome trilogy! A must read, or listen! R.C.Bray as always is bang on form, his measured narration adding a new layer of enjoyment to the story! I bought this on the strength of Iain M Banks comparisons, but those comparisons must be fairly loose. This is not a dense, lushly detailed and lovingly created piece of art, but instead feels more like a script for a TV series. Most of the writing is plain, utilitarian stuff and the author seems out of their depth when trying to do anything more advanced, even occasionally making me cringe, eg. "that little boy inside was now dead - as dead as his parents". However, despite this, some clunky dialogue, and several clichéd characters I still really enjoyed it! The story is nicely paced, the action sequences well described and plenty of genuine tension is built. I'd recommend it, especially as the narrator suits it well, and will get the next instalment for sure. 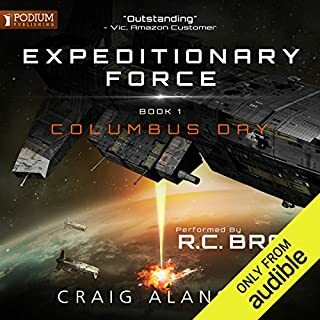 I followed R C Bray from the Martian audiobook, and I wasn't dissapointed! Great sci-fi from Stephen Moss, put into today's circumstances. Alien invasion done in a thought-out way, not like in hollywood movies which is a plus. 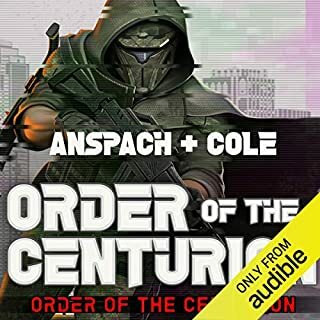 Cannot wait for other audiobooks from the series to be published! An interesting but occasionally dry SF story. 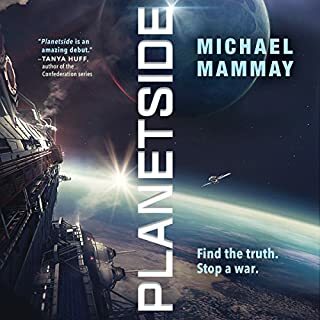 Some recent brushes with "hard" sci-fi have taught me that I'm more of a casual SF fan than I had thought, and for me this book crosses the line just enough to stay enjoyable. There were some very dry sections which failed to hold my attention and often stopped me for progressing through the story for days at a time (the slow start particularly troubled me) but overcoming this led to an overall interesting and often unpredictable story. 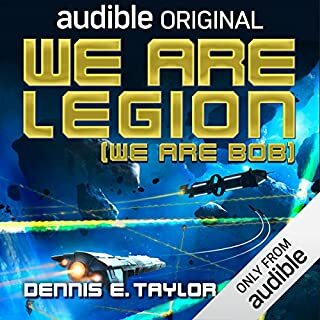 This is a rare case where I could have lived with listening to an abridged version, though veterans of the genre would likely disagree. The narrator too was good for most part, though mispronunciations were very noticeable - as others have noted. This is definitely a series I will come back to and complete over time, but for now I look forward to something to something a little lighter. I love a bit of a fast paced action story and this hit the spot. The story is a little bit simplistic at times but overall very enjoyable. 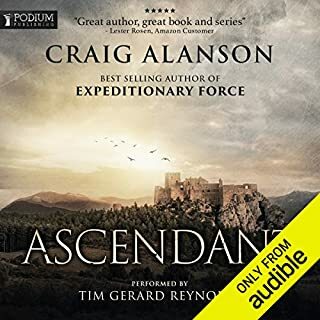 It is a shame the other books in the saga are not yet on Audible. boring slow start but it really gets going! The narrator is monotone and readying technical long drawn out sentences so I nearly asked for a refund. But I stuck it out and pleased I did... I have already pre-ordered the next book.